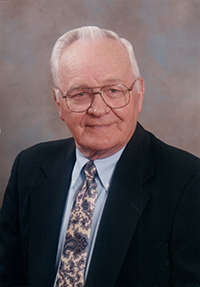 Carl Ollen Spry, 86, of Manchester passed away Thursday, March 14, 2019 at St. Thomas Rutherford Hospital. He was a native of Cannon Co. He is survived by his wife of 63 years, Martha Jo Brandon Spry of Manchester; children, Deb Spry (Rick) Insell of Murfreesboro and Tim (Jill) Spry of Woodbury; 7 grandchildren, Tom (Sarah) Insell, Staci (Michael) Sellars, Kyle (Megan) Insell, Brandon (Andrea) Rigsby, Matt (Autumn) Insell, Lana Spry and Carly Spry; 10 great grandchildren, Michaela, Maci, and Kale Sellars, Carter, Caroline and Charley Insell, Parsons Insell, Brandt, Kren and Rhys Rigsby and another great grandchild that is due in August; Siblings, O'Neail (Wilma) Spry; Vetrice (Faris) Goins, Evelyn (George) Barnes, Joyce Spry Smith and Ronnie (Betty) Spry; Sisters-in-law, Linda (Jack) Scruggs and Kathy (Bill) Johnson. He was preceded in death by his parents, Carl Vernon and Leona Duke Spry and his daughter, Kandy Spry Rigsby; sisters, Nora Faye Spry and Shirley Spry Jones; nephew, Joey Spry; Father-in-law and Mother-in-law, Joe L. and Gladys Williams Brandon and brother-in-law, A.J. Brandon. A retired salesman, Mr. Spry was a member of the Woodbury Church of Christ and the United States Navy where he was a veteran of the Korean War. He enjoyed hunting and going to ballgames where he was a big supporter of MTSU. Most of all, he loved spending time with his family. Funeral Services will be 11 am Monday, March 18, 2019 in the Chapel of Woodbury Funeral Home with Bro. Charlie Bowman officiating. Interment will follow in the Gilley Hill Cemetery where military honors will be performed. Visitation with the family will be from 4 pm to 8 pm Sunday, March 17, 2019. In lieu of flowers, donations may be made to the Gilley Hill Cemetery Trust Fund c/o Woodbury Funeral Home, 615-563-2311 or to leave condolences for his family, please visit www.woodburyfuneralhome.net.